It's no secret to anybody watching the game that LeBron James is the greatest player in the league. He single handidly willed his team past the Indiana Pacers after an intense Game 7. For the first time, the Raptors are the ones waiting for the Cavs, on their home court. 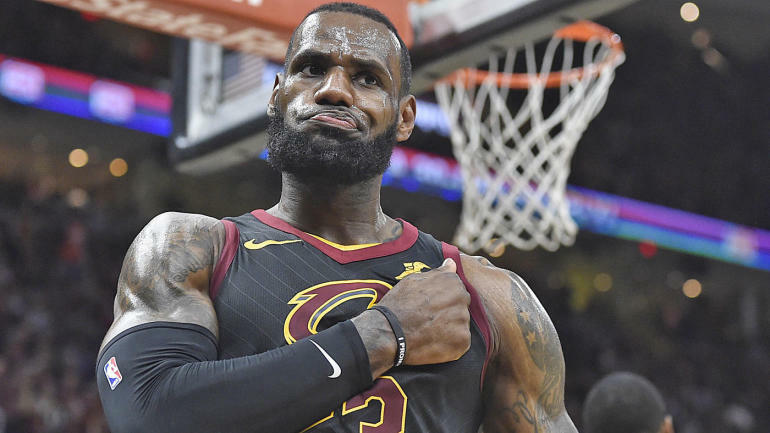 For the first time, there's a sense of hope that the Raptors can finally dethrone the King. For the first time, the Raptors will show the world that they are the Kings of the North. There are a lot of factors that make this series different than the previous two installments. Allow me to show you how. When the Raptors were swept by the Cavs in last year's Eastern Conference Semi Finals, I wrote an article detailing what the Raptors should do going forward. You can read the full article here. In this article, the first topic I addressed was Dwane Casey. I had stated that due to Casey's love for iso ball and some questionable roster decisions (*cough* DeMarre Carroll *cough*) I believed it was time to move on from him, even though I really admired him as a coach and a man. It was announced later that Casey would be returning as a coach, and what impressed me the most was the way Casey not only owned his mistakes of the overuse of iso ball, but vowed to adapt and become a team that could thrive offensively in this league. That was one of the best moments in Toronto coaching history, and I was fully back on board the Casey bandwagon...and he didn't disappoint. The Raptors finished the season with a top 5 offense and defense. They were shooting three's at a historic clip. The ball movement has been incredible, not only with the starting unit, but with the bench too (more to come on that). This team is well coached, playing a style of basketball that thrives in the modern day NBA. The Raptors set a franchise record 59 wins this season, and Casey has serious momentum for NBA Coach of the Year. It's been an impressive turnaround for a coach that was on the hot seat coming into this season. The Raptors bench is hands down the best bench in the NBA. The Raptors consistently have 10-12 guys that they can throw at you every single night that all make impacts on the floor. Lead by "Mr. Fourth Quarter" Fred VanVleet, the #BenchMob provides an injection of high intensity, physicality, floor spacing and deep shooting threats. Having this consistent option has allowed Coach Casey to limit DeRozan and Lowry's minutes, and it's showing its positive impact these playoffs. The main defensive assignment on LeBron will belong to Raptors rookie OG Anunoby, who did a fantastic job guarding John Wall by the way. When OG is on the bench, the Raptors can throw so many different bodies at LeBron, because they have that depth and luxury. There's no other team in the NBA that can throw as many bodies at LeBron as the Raptors can. LeBron will get his points, but if you can limit him slightly with various different defensive bodies, it will only help the Raptors in defeating the Cavs. The recent addition of Fred VanVleet back to the bench in the Raps vs Wizards series made an immediate impact. While Delon Wright did an incredible job quaterbacking that second unit, having Steddy Freddy back in the fold provided the stability it lacked throughout the first five games. He helps space the floor, adds an additional deep threat, and can make plays that nobody thought was possible. If not for Lou Williams, VanVleet is a lock for Six Man of the Year. I can go on and on about this bench. Wright has the length and the range to make him a deadly guard. Siakam provides the intensity and defensive toughness, while possessing the ability to knock down a jumper or corner three when needed. Poeltl provides mobility and super soft hands around the glass. Finally, Miles always possesses that deep threat that brings defenders out toward the perimeter on him, creating even more space on the floor. It's a perfect dynamic, and one that Coach Casey trusts (and rightfully so). Again, it's no secret that LeBron is the best player in the league right now. He's averaging 34.4 points on 55.3% shooting in just over 41 minutes played per game. He's leading his team in points, rebounds and assists per game. These numbers are God-like for someone who is 33 years old, and showing no signs of slowing down anytime soon. Even though the King has had quite the playoffs thus far, his supporting cast have been almost invisible. The absense of Kyrie Irving from this squad really exposed a lot of issues, and isolated a need for a true secondary scorer, since Kevin Love has not been able to fill that role at all. Here's a stat that truly astonished me...during the Cavs vs Pacers playoff series, there was not a single Cavs player other than LeBron James to reach 20 points in a single game during the seven game series. That's the first time in LeBron's career that this has happened. LeBron leads his team with 34.4 points per game, as stated earlier. Kevin Love is a "close" second with 11.4 points per game. Outside of those two, there isn't one Cavs player averaging double digits in points per game. This Cavs team is one of the worst I've seen with LeBron on it. They are one of the worst teams in the NBA defensively. The time is now for the much better Raptors team to expose this weak Cavs team. LeBron claims he's burnt, but I don't buy it. This is a guy who spends $1 million a year on his body. He's basically the human version of the Six Million Dollar Man (minus five million...). It doesn't seem like Dwane Casey and the Raptors are buying it either, echoing the same sentiments that I am. We will see come Game 1 how tired he really is. The Raptors spent all offseason preparing to face LeBron in the playoffs once again. They got the culture reset they were looking for. This is a different team, and one that is more than capable of beating a weakened Cavs squad. I predict that the Toronto Raptors will beat the Cleveland Cavaliers in six games. Notice how in all the points I touched on, I didn't even talk about Lowry and DeRozan, and their improvements as players and buying into the system? That's how good this squad has been, and will continue to be, after they get past the Cavs. Don't believe me? That's fine, but let me show you some other expert opinions on the Raptors, and hopefully you will change your mind. We. The. North. "We The North. We The North."